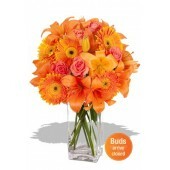 One Dozen Orange Color Roses Bouquet, send something special to her, not always Pink or Red Roses ! .. 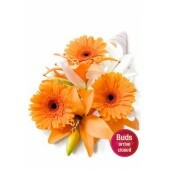 Send 18 Orange color of roses to her will not make her smile only, she will have a charming SMILE to..